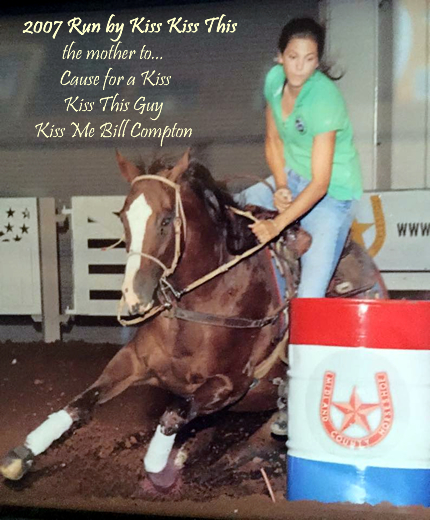 Huge shout out to Mil Iron Livestock https://www.facebook.com/millironlivestock ~ Tyson and Del! Congratulations and thank you for purchasing Kiss Kiss This. She has been the cornerstone of our breeding program and are blessed to know she will have the opportunity to prove herself as a valuable asset in your program. We look forward to following y'all! 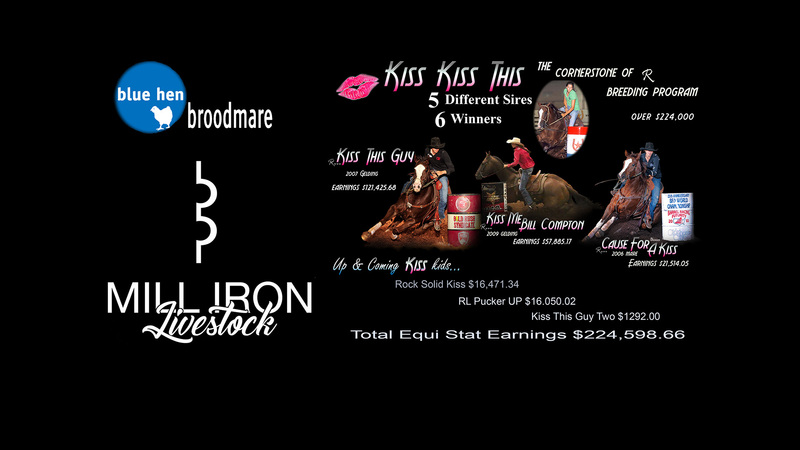 True Blue Hen Mare Kiss Kiss This, Kiss Kiss This is the cornerstone of our breeding program. Her foals have earned $185,872.05 with an average winnings of $61,957.35 per foal. EquiStat Offspring Earnings as of 5/14/15 3 different sires, 3 winners!